Deflecto-Large Caddy Organizer Compartment: Clear. 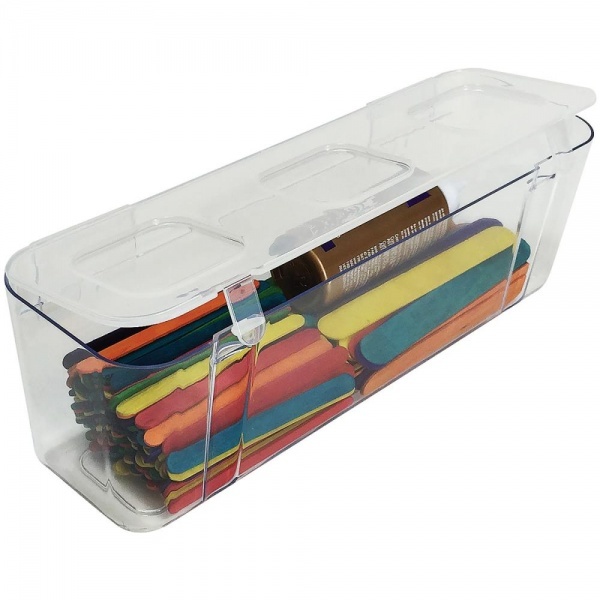 Great for on-the go storage of rulers, paint brushes, yarn, fabric, and more! Multiple units can be stacked and locked using the lift and lock feature. This package contains one 4-3/8x13-1/4x4-3/16 inch organizer compartment. Imported.